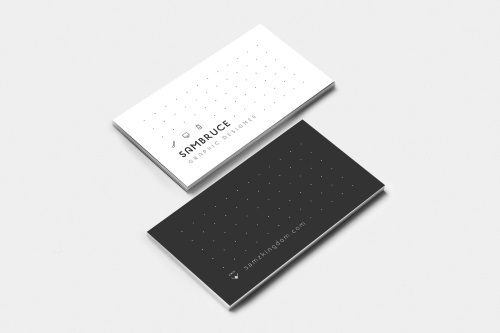 For most people, a business card is a tool your employer gives you to help connect with partners and clients. But what if you currently have no employer, or just want to connect with your own partners and clients i.e. other employers? 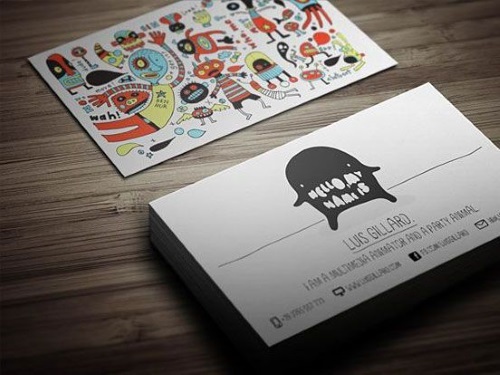 You need your own business cards to give out when looking for a job. 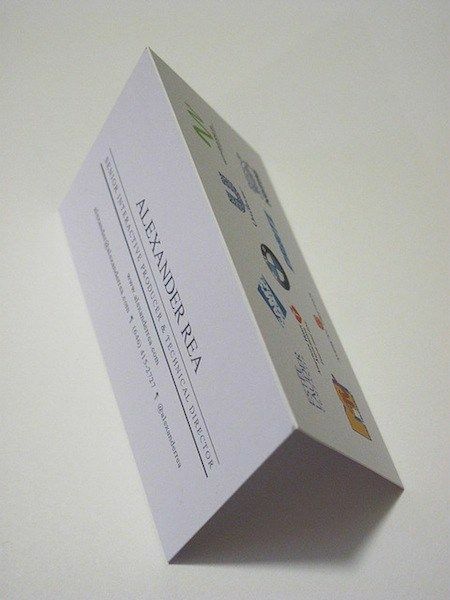 Paper resumes – still not dead – need a bulky carrying case or folder to keep them nice enough to give someone, and then that person needs to manage them too, which can be a big pain anywhere except at their office. 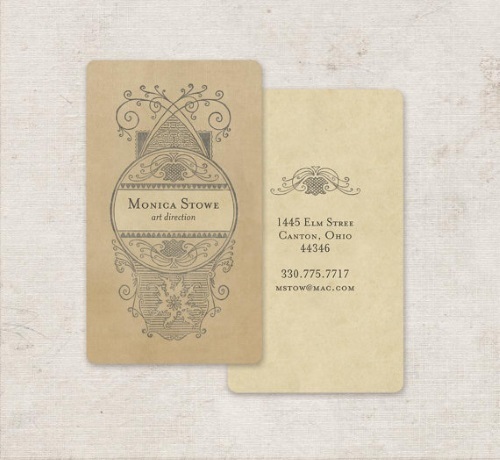 Business cards, on the other hand, fit in purses and wallets, and won't bend so easily if printed on good quality paper stock, avoiding the need for a case and making it easy to always keep a few cards in pockets because you never know who you'll meet. People love faces, and we remember faces much more easily than names, but in many places, putting your face on your resume is taboo. 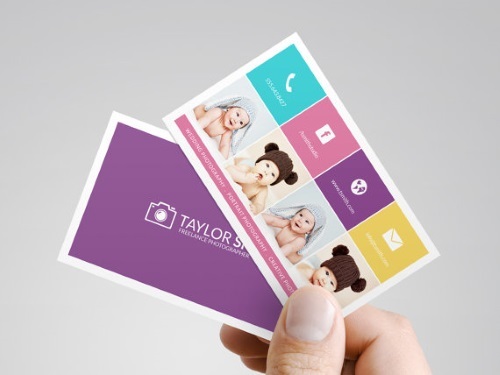 Putting your face on your business card, however, is much more common and even expected sometimes. 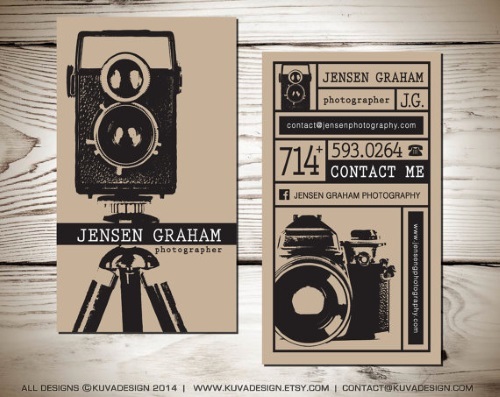 Get the best of both worlds by clipping your portrait-bearing business card to every resume you hand out. That alone will make it stand out from others in a pile, and there's always a chance the recipient will un-clip your card as a reminder about you. 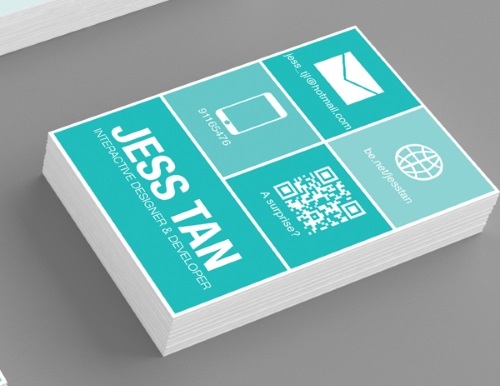 It's always a bit frustrating to not have a business card when someone asks for it. More so when they've just handed you theirs and are expecting one in return, and even more so when the reason you don't have one is because you have no employer to provide any. Some unemployed job seekers will miss conferences and events just to avoid that kind of situation, but having your own cards means you have nothing to worry about. 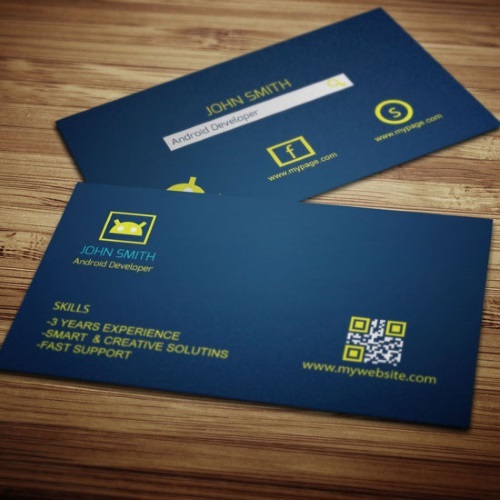 There are two kinds of job seeker business cards. 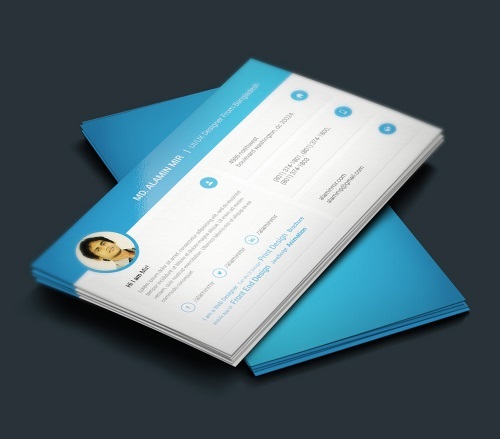 Resume cards, also called mini-resume cards, are exactly what you'd imagine: a small version of your resume. If you think cutting your resume down to one page is hard, these might be a bigger challenge. 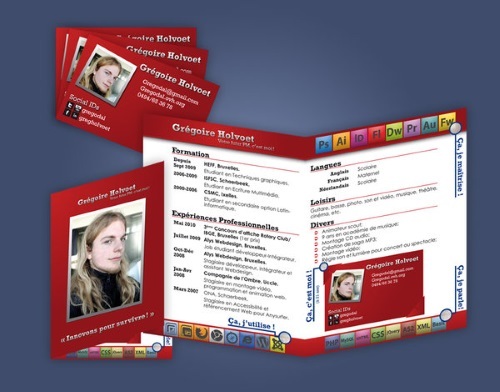 A good resume card should have your contact information, portrait, and key achievements relevant to your current job search, presented with a clear design that makes the information easy to read even at such a small size. 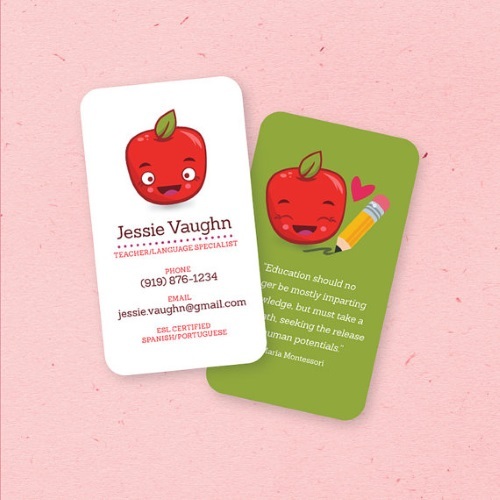 While clearly easier to carry than a full-size resume, and amazingly effective when done well, resume cards are most useful when given to people you've specifically discussed job search with. 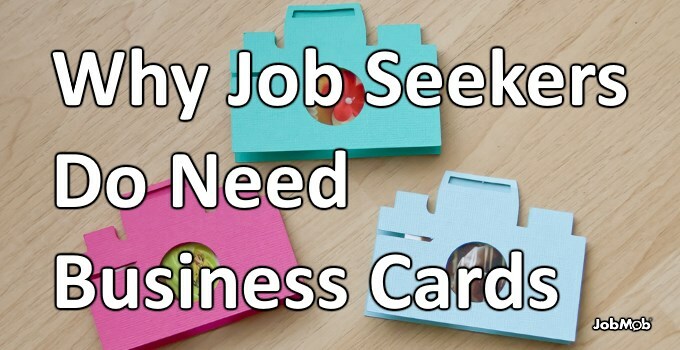 The other kind of job seeker business card is the personal business card: a standard-looking business card, but with no mention of a job search or employer. It's only about you. The impression given is that you work for yourself, and in a very real sense, that is exactly what every job seeker does. Url (and/or QR code of) of a website about you professionally. 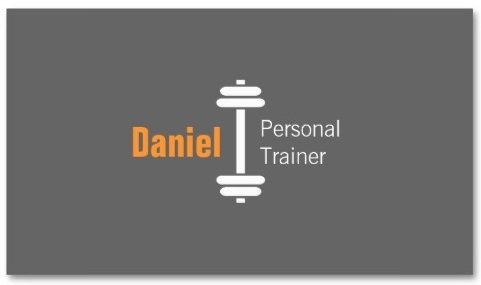 This could be a personal website, online work portfolio, LinkedIn profile or other high-powered social media profile, etc. 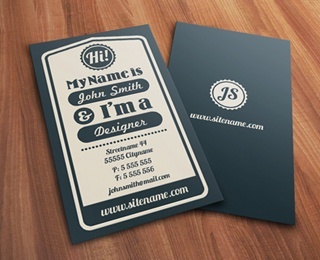 I use Zazzle. 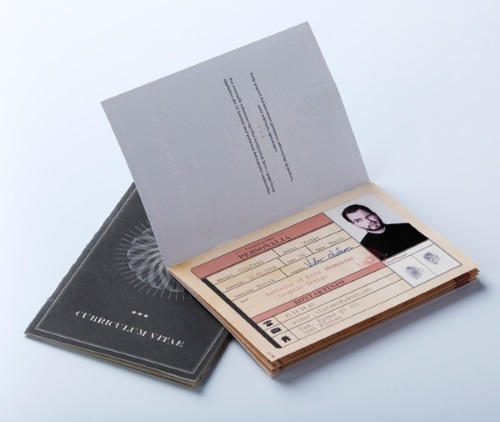 They have many, many templates to choose from (and you can also design your own) before getting them printed and shipped to you, even internationally. And they always seem to have discounts available. 1. Is it good idea to give out cards if looking for a job? Yes, but only if you have your own business cards. If you're still employed and trying to keep your job search quiet, don't give out employer-provided cards. 2. 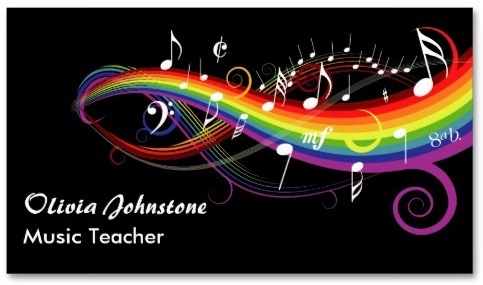 I'm using a business card for my employment search. What information should I include? 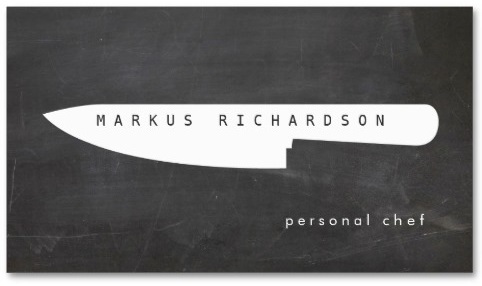 Or: what do you put on a business card if you're unemployed? 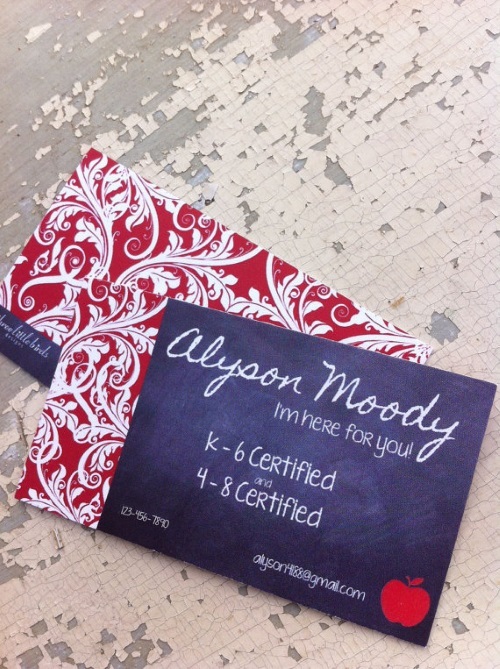 The same things you would see on employer-provided business cards: your name, job title, phone number, email address, etc. as listed above, except that none of the information mentioned should come from an employer. 3. 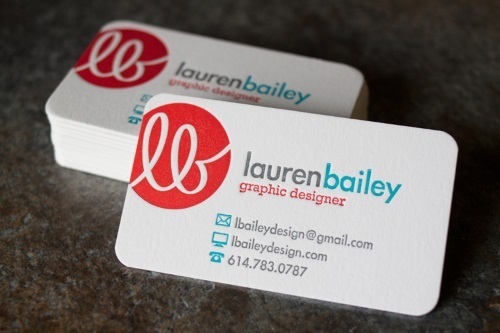 What should your title be on a business card when job searching? 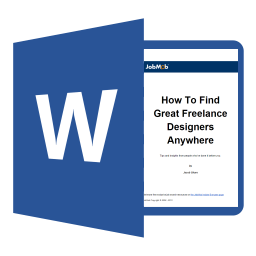 If it's relevant to the job you're looking for and clearly explains what you can do for a future employer, you can use your most recent job title. Another tactic is to say you're an expert or consultant in your field or profession. 4. 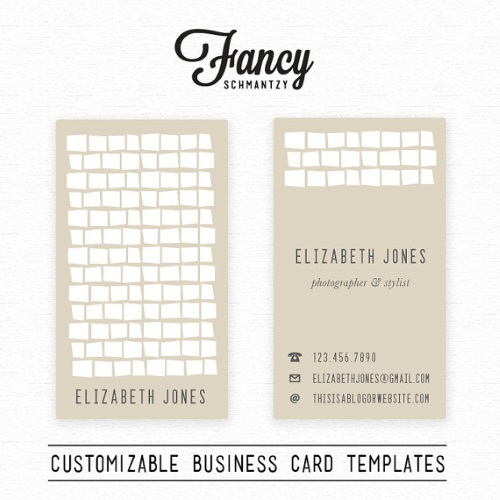 What are business cards called for people looking for work? 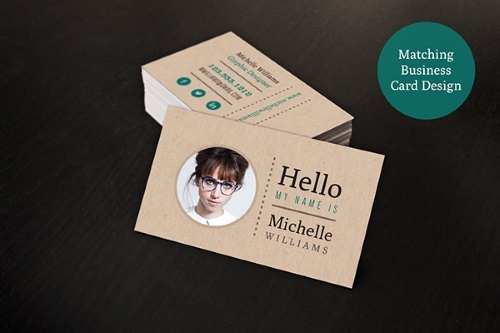 Job search business cards, (career) networking business cards, personal business cards… take your pick. 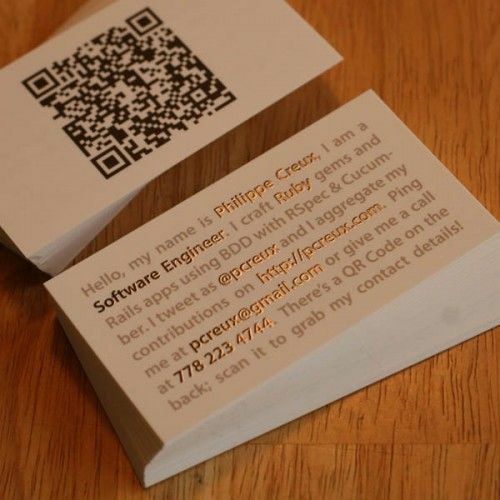 What was the most impressive job seeker business card you've ever seen? Tell us in the comments. 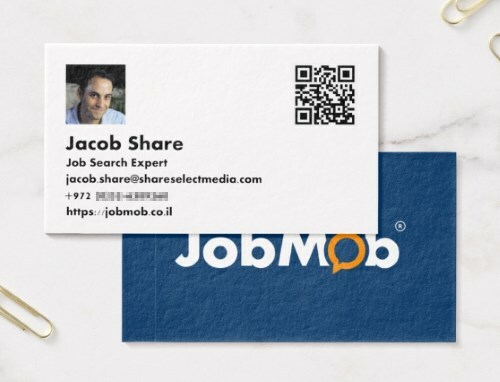 Subscribe to JobMob via RSS or email and follow me on Twitter for more job search insights that might surprise you. 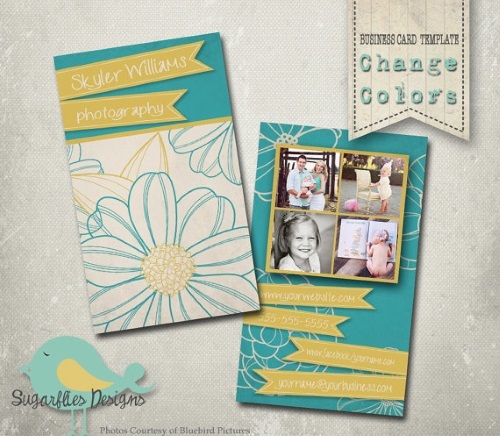 Wow great ideas for both having a card and some very inspiring designs. An excellent idea and a very informative article. Hi Jacob, thanks for the article. An eye opening ideas.. 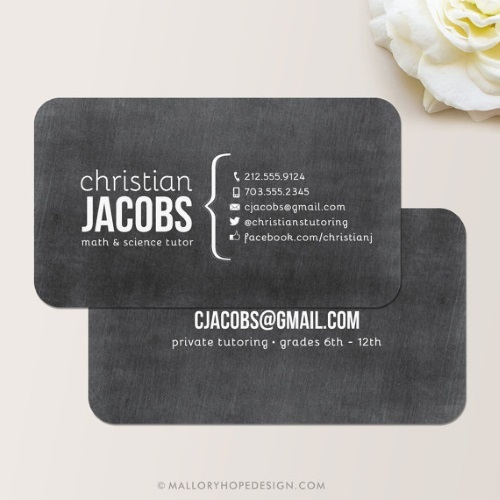 I was wondering if you have any leads for business cards in the financial services industry? Loved this article!! Thanks for the inspiration & good ideas!! Great great article. Printed it for all my business students. Very cool, Sandra, and I hope they use it well. Thanks for telling us. Next Post🎉 Should You Holiday From Job Hunting During The Holidays?